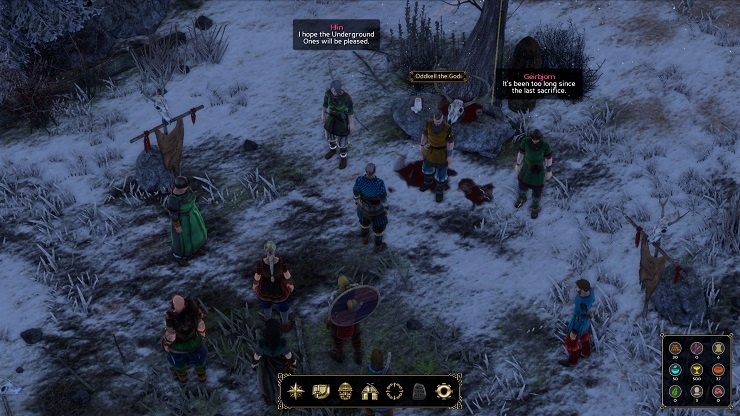 From the outset, Expeditions: Viking puts you right smack-dab in the centre of conflict, clan in-fighting, and a whole load of inherited family beef as you succeed your father and take on the mantle of thegn. Your position is unstable and the loyalty of your subjects is in its infancy, but you must strengthen the clan and ensure its survival. Threat looms in every corner of your longhouse as the funeral feast in honour of your father draws on into the night. Quicker than you can say “By the beard of Odin!” a ruckus outside pulls you and your honoured guests – thegns and their retinue – from festivities and mourning to deal with a band of disgruntled clansmen. From the outset, Viking is about choice. Rather than playing a hero from legend or an Odinsson who was born when the heavens sneezed, you are simply a newly succeeded thegn who’s a little wet behind the ears and lacking the respect of the older members of the clan. The character creator melted my brain initially because, although the appearance editor was basic, customisation of your character’s statistics, proficiencies, and skills were completely wide open. For me, someone who isn’t a returning veteran of the Expeditions series, it was a little overwhelming at first. There are your base stats that follow the archetypal RPG structure, there are weapon proficiencies that add abilities to your character, passive effects during combat, and skills that I took to be trade crafts such as Hunting and Cooking. Knowing only the basics of the game it was a little daunting to decide on where to assign my skill points, and a large chunk of time was spent in the character creation reading through each available upgrade option. After settling on the character, you’re thrown into the fray almost instantly. You are newly appointed as the thegn of your clan’s village of Skjern and must secure your place in the kingdom. 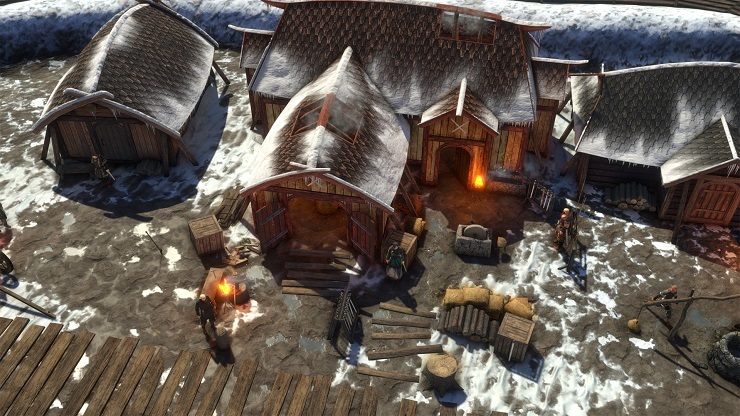 Expeditions: Viking instantly has a sense of familiarity in the way that it delivers dialogue in that it does so like a Classic RPG, but like the recent review of Torment: Tides of Numenera it does so with descriptive detail beyond simply dialogue. As you would expect from the Western RPG genre borrowing from the Dungeons and Dragons conversation mechanics, your stats can often play a part in the conversation – like checks against your perception and diplomacy – that will lead to various outcomes. Failures didn’t seem to affect the overall progression of the game but did sometimes affect smaller variables such as the number of enemies active in an ensuing battle. For example, in one conversation that was moving inexorably toward a fight, a successful attempt at a surprise attack removed the target as a threat and turned them into a pile of viscera before the combat even began. Combat in Expeditions: Viking plays out on a grid of hexagonal tiles allowing you to move within a specific range. The range is denoted in green and yellow, the green obviously allowing you to move and still perform an action while yellow means that you’re sacrificing an action for an extra movement order. Planning your attacks and understanding the strengths and weakness of your team, along with those of the enemies, is vital to ensure your allies don’t take unnecessary damage and sustain injury that might affect their combat effectiveness. Also, using abilities that leaves an enemy stunned or knocked to the ground will ensure that your team can move in for an attack of devastating effect. A tactic I would often employ was to use my Witch to apply my Huntress’ next attack with poison, and with a Warrior or Defender hook and pull aside the shield of a Defender meaning he cannot block the next attack. Then with precision, the Huntress was guaranteed to bypass the block and applied a poison effect. Beyond the core mechanics of combat and dialogue, the biggest joy was the realisation and full understanding of what Expeditions had to offer in its campaign map and what this meant for your band of misfits that formed your retinue. This was where the idea behind the survival and trade skills clicked, and the initial worry of having to max each one disappeared. When you make camp, there are four shifts that you can assign a task to a member of your crew. Have them working through all four shifts will mean they have no rest and become fatigued, and the simplest of things like making sure that every task was completed and still getting sufficient rest scratched a leadership itch I didn’t know I had. It was glorious! The feeling of managing your clan and being a true leader whilst carving paths North, South, East, and West leaving no stone unturned in my quest for glory was immense. When it came to getting away from Denmark to England, the pace and scope of the game changed completely. It felt larger, wider, and ultimately the tension in every exchange intensified. It was like being in a TV episode of Vikings, and that will never be a terrible thing. The game was not without its frustrations, though these were thankfully very minor and mostly came down to final little touches of polish for the final product. The camera felt the full brunt of my disapproving sigh on more than one occasion as I tried in vain to navigate around trees and other scenery only to have it being blocked for another angle. There was also a noticeable decrease in performance when panning the camera which was most of the time; however, this is something that can be resolved for a future update. 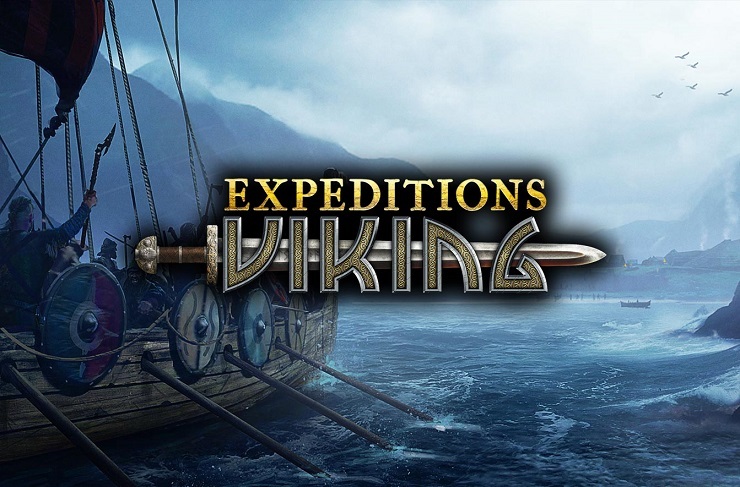 While Expeditions: Viking won’t be winning any awards for ground-breaking storytelling or innovative gameplay, it’s compelling in just the right way that keeps commanding attention throughout. I found it to be a lot of fun, if a little unpolished in places.